Is a New Roof Tax Deductible? Even though April 15th has already passed for the 2015 tax season, many homeowners may still be filing taxes and seeking additional tax credits to help with their finances. If you are the proud owner of a new roof, you may qualify for an energy tax credit. If you installed an energy efficient new roof in the past two years, you may qualify for an energy tax credit from the federal government. Homeowners can receive 10% of the cost of their new roof up to $500, excluding installation costs. The credit is designed to encourage homeowners to make green home improvements that save money and help lower the general demand for and consumptions of electricity. The energy tax credit focuses on what is known as "cool roofing." Cool roofing reflects the sun's heat back to the sky, rather than absorbing it. As a result, this type of roof stays cooler than regular roofing and reduces the amount of heat transferred to your home. 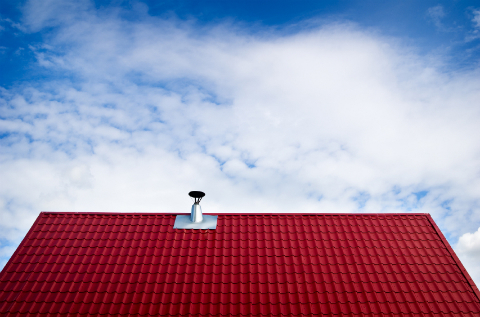 Which Types of Roofing Qualify for the Residential Energy Tax Credit? 1) Metal roofing that is coated with Energy Star certified paint or pigment specifically designed to reduce heat gain qualifies for this energy tax credit. White is the most effective coating, but it might not fit your aesthetic. Luckily, you have plenty of options to choose from for your new roof. Check with your local roofing contractor to see if your metal roof qualifies for the energy tax credit. 2) Asphalt roofing made with cooling granules also qualifies for a tax deduction. This type of roofing look just like regular asphalt roofing, but the granules are treated with a proprietary coating designed to reflect and emit the sun’s rays away from your home. You can only claim this energy tax credit once for 2013 and 2014. This tax credit may also apply to other energy efficiency improvements to your home, such as new insulation or windows. The energy tax credit does not apply to the installation costs for your new roof. Is a New Roof Tax Deductible in 2015? In order to qualify for this energy tax credit, homeowners must have installed a relevant roof by Dec. 31, 2014. This energy tax credit only applies to roofs install in 2014. For more details, homeowners can check out Energy Star's website, with information on this energy tax credit. Disclaimer: This article includes general information about taxes. Neither Homeadvancement nor the author is providing tax advice as a professional service. Always speak to a a tax professional for more advice on federal and state tax credits, and consider that tax laws can vary by jurisdiction.